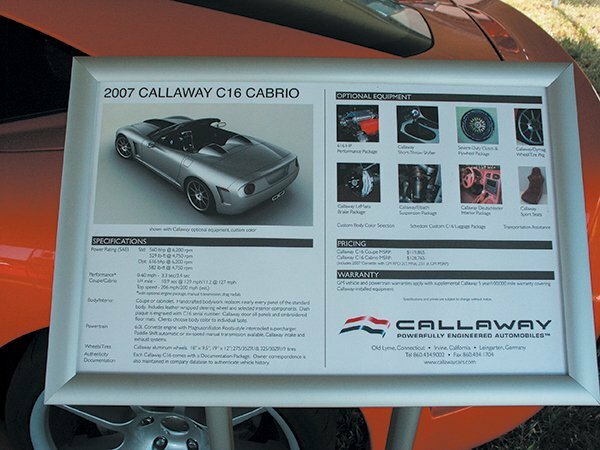 In this post, we will look back to March 16, 2007, when the 2007 Callaway C16 Cabrio debuted at the New York Auto Show. 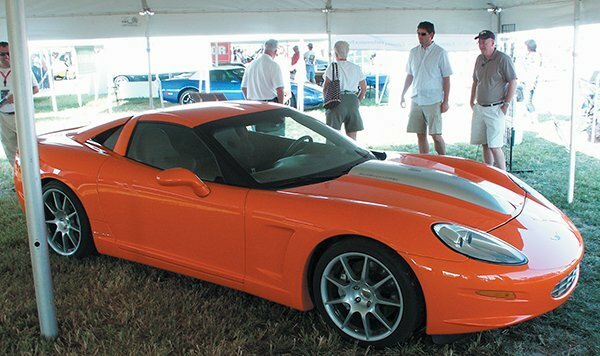 We also have some photos that were taken at the Corvette Funfest event in 2007. You can find coverage in the December 2007 issue of Vette Vues Magazine. 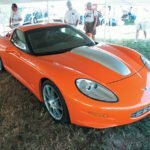 OLD LYME, CONNECTICUT (March 16, 2007) – Callaway Cars today announced it will unveil the C16 Cabrio, the company’s convertible variant of the limited production C16 supercar, at the New York International Auto Show. 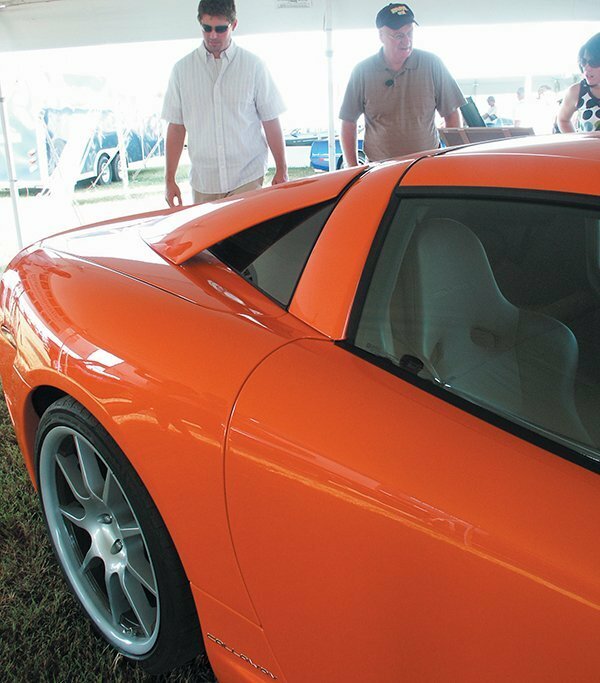 The C16 Cabrio, like the C16 Coupe, was drawn and modeled by designer Paul Deutschman who has a twenty-year portfolio of Callaway designs. Architect of the “Callaway Look” – from its 254 mph Sledgehammer and Le Mans race cars to the current C16 models – Paul has created a stunning new design while retaining unmistakable Callaway lineage. 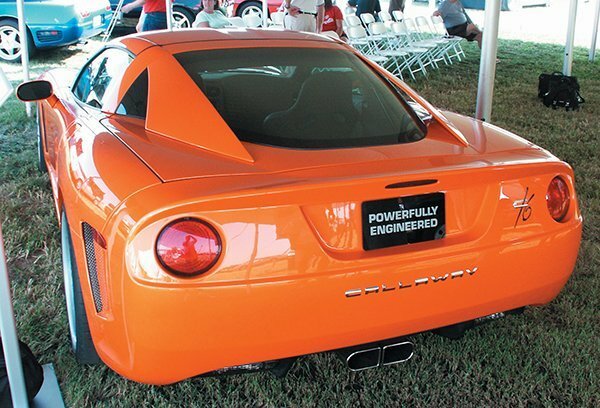 The C16’s Callaway-supercharged 6.0L engine provides world-class power, producing 560 bhp at 6,200 rpm and 529 lb-ft of torque at 4,750 rpm. The optional 616 HP Performance Package raises the bar to 616 bhp and 582 lb-ft of torque, propelling the paddle-shifted Cabrio from 0-to-60 in 3.5 seconds. Quarter-mile acceleration tests consistently record low 11-second elapsed times. Maximum speed of the C16 Cabrio is estimated at just over 200 mph. Equally impressive is its fuel efficiency rating of 18 city/28 highway. 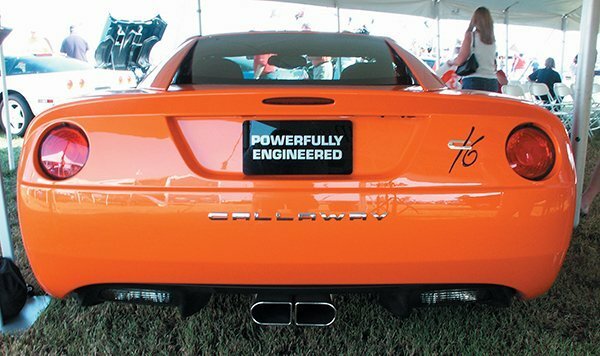 Callaway’s warranty covers the equipment for 5 years or 100,000 miles. Inside the C16 cockpit, door sill panels, dash pad, and steering wheel are upgraded and carry signature Callaway badging. The optional “Deutschleder” package completely retools the interior in fine German leather and Alcantara, featuring seats manufactured for Callaway by Recaro. Clients choose exterior and interior colors to suit individual taste. Each C16 Cabrio is built to order, serialized and identified by its build plaque. The handling precision of the C16 is courtesy of the newly developed Callaway/Eibach Multi-Pro coil-over suspension. This joint development effort produced an advanced spring/damper system, featuring 10-position compression and rebound adjustability, allowing the driver to customize settings for specific track or road conditions. The sophisticated design provides excellent response while avoiding racecar-like rough ride characteristics. To bring the Callaway C16 Cabrio from 200+ mph to rest, and to help negotiate the tightest tracks, the C16 utilizes a StopTech brake system engineered to Callaway specifications including 6-piston front and 4-piston rear calipers gripping 355mm x 32 mm rotors. 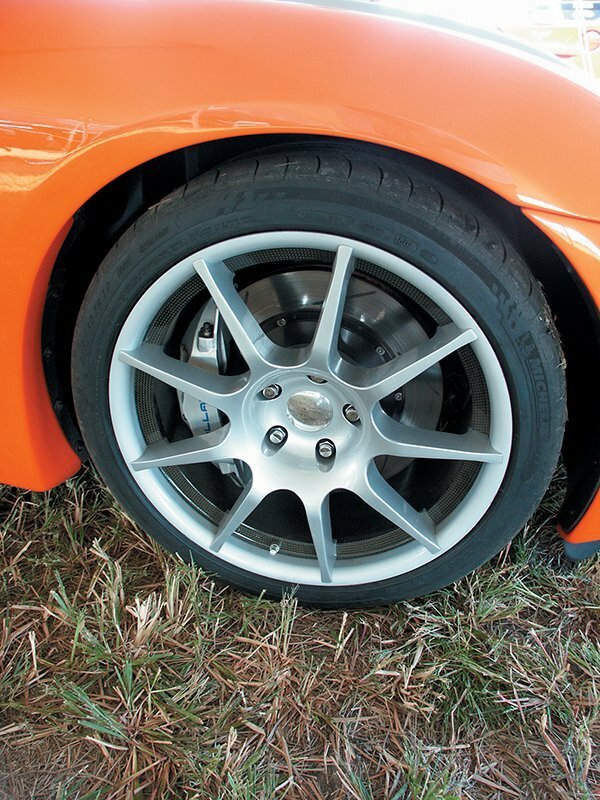 Callaway/Dymag wheels weigh approximately half that of their aluminum counterparts, providing significantly reduced unsprung weight for improved acceleration, cornering and braking. These TUV- and DOT-certified wheels feature forged magnesium spiders surrounded by durable carbon fiber rims and measure 19” by 10” front and 20” by 12” rear. Another of Callaway’s technology partners, Yokohama Tire, developed their “AdvanSport” specifically for the C16 in 285/30ZR19 front and 325/25ZR20 rear sizes. 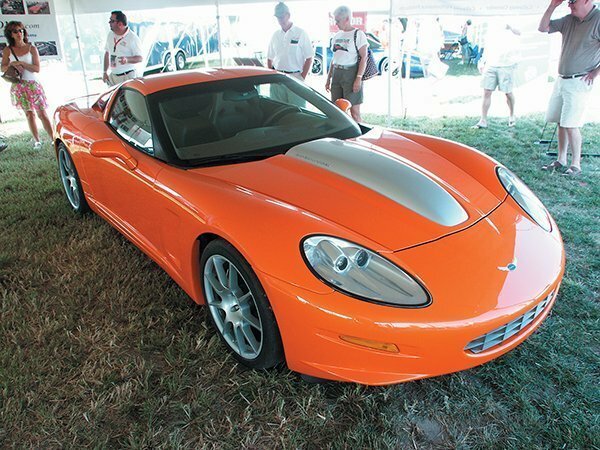 Tags: 2007 Callaway C16 Cabrio, 2007 Callaway C16 Cabrio Photos, 2007 Corvettes at Carlisle, Callaway Corvette, Paul Deutschman, Professionally Tuned Car, Supercharged, Tuned Corvette	.